In recent years, there have been few topics that engage (and enrage) public opinion as much as international migration, with the possible exception of international trade. Even the US, which historically is the largest recipient of migrants and a vocal proponent of trade liberalisation, has responded to concerns about globalisationwith nativist rhetoric and protectionism. Negative views about trade and migration are unsurprising given that public sentiment is “significantly influenced by perceptions of the national economy” (Aguila et al. 2012: 145), and foreign goods and workers are regularly implicated as reasons for the uneven recovery following the Global Crisis. What is not clear is whether these two phenomena are manifestations of the same global forces, or how they directly relate to each other. Economic theory suggests that trade and migration are substitutes – one can import cheaper products from a trade partner or one can import the foreign workers themselves to narrow the difference in international factor prices (Mundell 1957). Yet, empirically this is not obvious – while immigration can increase employment in a receiving country but not raise income levels, trade flows appear to have the opposite effect (Ortega and Peri 2011). Trade and migration have historically also gone hand in hand, moving in parallel in the decades before WWI, even if the relationship lacked statistical significance (Collins et al. 1999). This ambiguity may be due to a number of factors: both trade and migration costs impede factor price equalisation, humans and resources are not completely mobile, and firms are imperfectly competitive (Venables 1999). 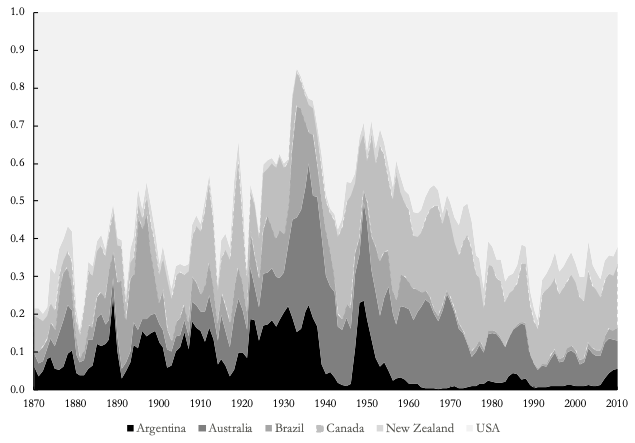 Our research (Jacks and Tang 2018) extends this scholarship by gathering available long-run series for both international trade and migration, showing their patterns by region and composition since the late 19th century, and then testing for a relationship using bilateral data between the US and Canada with their partners. We use these two countries because they account for the bulk of both goods and immigrants for most of the period and their data are well documented. What we find is that both phenomena indeed trended together, particularly during the half-century before WWI; they then collapsed during the interwar period, and grew again thereafter, but with much more pronounced growth for goods trade. These suggest a complementarity based on factors of production. However, once we use a more rigorous analysis within a gravity model framework exploiting dramatic immigration policy changes in the US during the 1920s, we find that, at least for the interwar period, trade and immigration appear to be substitutes. In relative terms, both merchandise trade and migration stocks are at levels as high as a century earlier (and much larger in absolute levels). Aggregate world exports as a share of GDP reached an all-time high of 17% in 2008 for the world, and immigrant stocks were nearly 10% of total population among advanced economies. Source: Jacks et al. 2011, Jacks and Novy 2018. Source: Ozden et al. 2011, Dumont et al. 2010. That said, within this 140-year period there were a number of breaks in trend and compositional changes. The resurgences of trade and migration occurred after the fracturing of the international economy from the two world wars and intervening Great Depression, and were further facilitated by changes in commercial policy, international institution building, and lower transport costs. Asian exports have experienced the most growth, from 9% of total exports in 1870 to 29% in 2010, while European exports continue to lead in the regional comparison, although considerably diminished from their 70% share in 1870, down to 44% in 2010. North America, including the US, accounted for about 12% and 17% of world exports in those years, respectively. 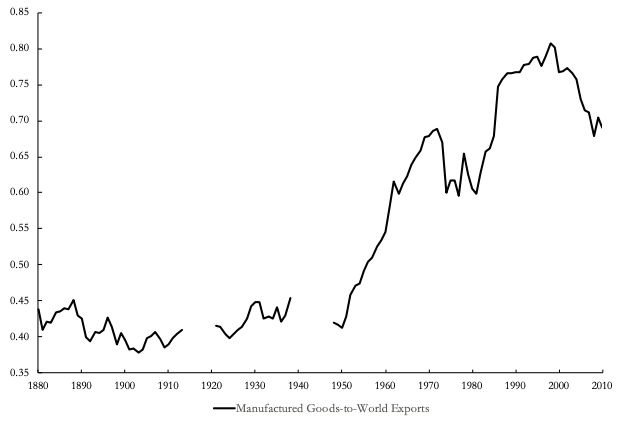 Manufactured goods remain the major type of exports, averaging over two-fifths of the world’s total from 1880 to 1950, but surging since then to around 70% by 2010. Likely drivers are the establishment of the Generalized Agreement on Trade and Tariffs (GATT, now the WTO) and recent developments in the structure of production and trade, namely vertical specialisation and global supply chains. Source: League of Nations 1945, Lewis 1952, United Nations 1962, United Nations Statistical Division 2003, World Trade Organization 2010, Jacks et al. 2011, Jacks and Novy 2018. For migrants, the US alone absorbed about 62% of all recorded immigrant flows in the years 1870 to 1914, which is known as the first wave of globalisation. This has been eclipsed in recent decades, with over 68% of immigrants choosing the US between 1980 and 2010. Five other settler economies (Argentina, Australia, Brazil, Canada, and New Zealand) picked up much of the remaining migrants. 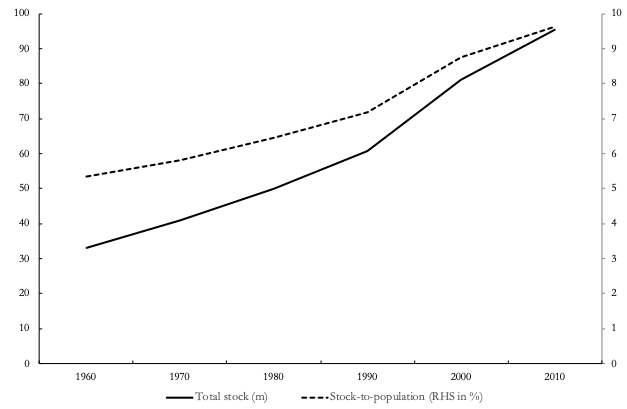 In terms of stocks of immigrants, the US was home to 30% of the world’s 140 million immigrants in the year 2010 (Dumont et al. 2010). 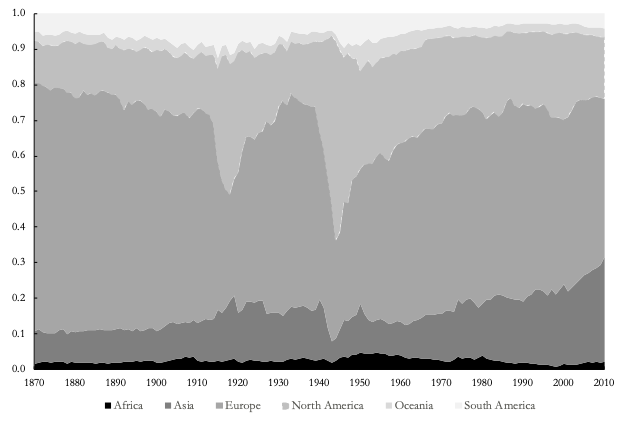 At the same time, the composition of immigrant stocks by region of origin has dramatically changed from largely European up to 1960, to mainly North American (Canada, Caribbean and Central American countries, and Mexico) and Asian as of 2010. As we note in the paper, this departure may be due to the 1965 Immigration and Nationality Act, which severed the link between immigrant flow quotas and past immigrant stocks, allowed immigrants from Asia, and encouraged family reunification. Source: Madsen and Andric 2017, DEMIG 2015. Source: Abramitzky and Boustan 2017. To put these two phenomena together, we use decennial data of bilateral trade and immigrant flows for the US and Canada, and all their major trade and migration partners between 1870 and 2000. 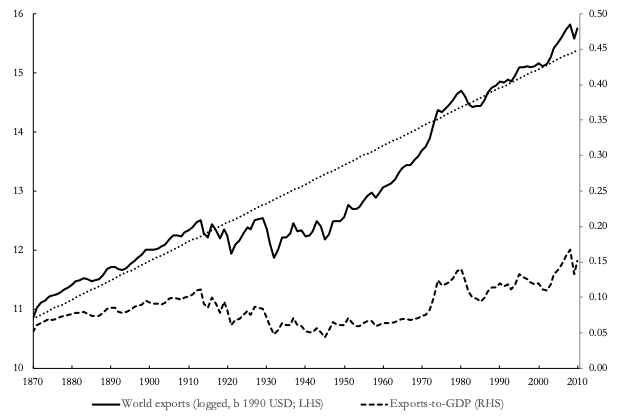 Export shares are positively correlated with migrant shares for both countries over the period as a whole, as well as the sub-periods before WWI, the interwar years, and the post-WWII era. In contrast, import shares are not statistically significant in general, which suggests complementarity of these flows. However, since there are other forces likely to affect their co-movement as well as endogeneity concerns, we use changes in US immigration policy in the 1920s, i.e. the introduction of immigrant quotas differentiated by country of origin, and matching bilateral pairs of countries trading with and sending migrants to both the US and Canada to better identify a possible causal relationship. For the two-decade period between 1920 and 1940, our triple-differences regression results indicate that the imposition of a binding immigration quota by the US is positively associated with American exports and imports. In other words, we find that during the interwar period trade and immigration appear to be substitutes. Given the restricted time period and number of bilateral pairs in the analysis, we are aware that the empirical results are only suggestive and warrant further work. Another important caveat to our overall analysis is the coverage and quality of the aggregate data, especially for migration. Thus, we rely on longitudinal data compiled with a view toward transparency and replicability, which have been used in existing scholarship and provide long time series (e.g. DEMIG 2015, Jacks et al. 2011, Jacks and Novy 2018, Madsen and Andric 2017). Conceptually, migrant flows are more comparable to trade flows than migrant stocks; however, few countries recorded these consistently throughout the period and this has been identified as a source of mismeasurement (Bandiera et al. 2013). For our purposes, we rely on migrant stocks and exclude those displaced by border changes and conflicts, temporary migration, and within country movements. For trade, we exclude services despite a significant increase of its share (20% of total trade in 2010), due to a lack of systematic data in earlier years. These limitations notwithstanding, we consider the use of disaggregated historical data series to be an important tool that provides insight on current discussions of trade and migration. Abramitzky, R, and L Boustan (2017), “Immigration in American history”, Journal of Economic Literature 55(4): 1311-1345. Aguila, E, A Akhmedjonov, R Basurto-Davila, K Kumar, S Kups and H Shatz (2012), “US public opinion on immigration and the North American Free Trade Agreement”, in United States and Mexico: Ties That Bind, Issues that Divide. Santa Monica, CA:RAND Corporation. Bandiera, O, I Rasul and M Viarengo (2013), “The making of modern America: Migratory flows in the age of mass migration”, Journal of Development Economics 102(1): 23-47. Collins, W, K O’Rourke and J Williamson (1999), “Were trade and factor mobility substitutes in history?” in Migration: The Controversies and the Evidence, Eds. R Faini, J de Melo, and K Zimmermann. Cambridge: Cambridge University Press. DEMIG (2015). DEMIG TOTAL, version 1.5. Oxford: International Migration Institute. Dumont, J-C, G Spielvogel and S Widmaier (2010), “International migrants in developed, emerging and developing countries: An extended profile”, OECD Social, Employment and Migration Working Papers 113. Jacks, DS, CM Meissner and D Novy (2011), “Trade booms, trade busts, and trade costs”, Journal of International Economics 83(2): 185-201. Jacks, DS, and D Novy (2018), “Market potential and global growth over the long twentieth century“, Journal of International Economics 114: 221-237. Jacks, DS, and JP Tang (2018), “Trade and Immigration, 1870-2010.” NBER Working Papers, No. 25010. Madsen, JB, and S Andric (2017), “The immigration-unemployment nexus: Do education and Protestantism matter?”, Oxford Economic Papers 69(1): 165-188. Mundell, R (1957), “International trade and factor mobility”, American Economic Review 47: 321-335. Ortega, F, and G Peri (2011), “The aggregate effects of trade and migration: Evidence from OECD countries”, IZA Discussion Papers No. 5604. Ozden, C, C Parsons, M Schiff and T Walmsley (2011), “Where on earth is everybody? 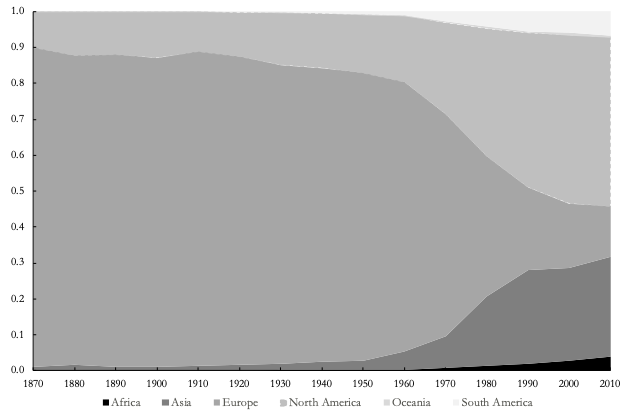 The evolution of global bilateral migration 1960-2000”, World Bank Economic Review 25(1): 12-56. Venables, A (1999), “Trade liberalisation and factor mobility: An overview” in Migration: The Controversies and the Evidence, Eds. R Faini, J de Melo, and K Zimmermann. Cambridge: Cambridge University Press.